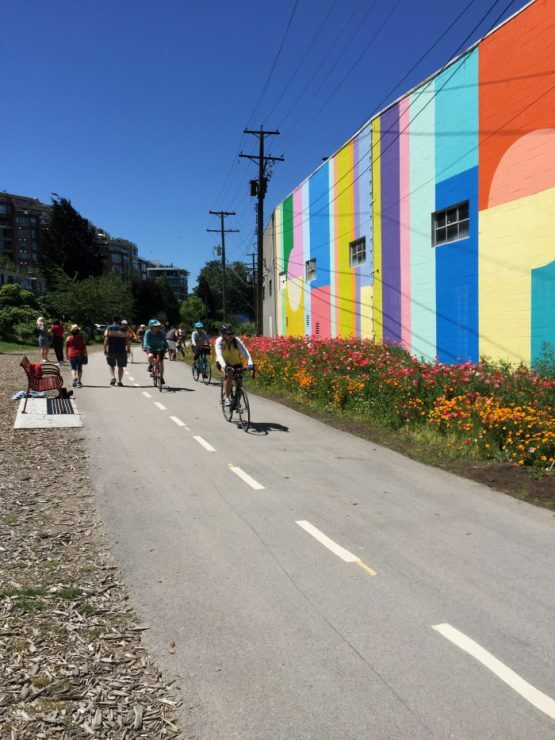 Arbutus Greenway – Let's Go Biking! 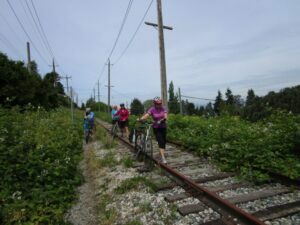 Arbutus Greenway – Let's Go Biking! 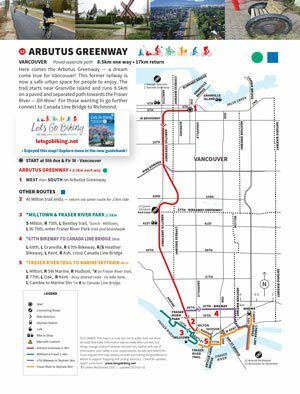 Here comes the Arbutus Greenway ― a dream come true for Vancouver! 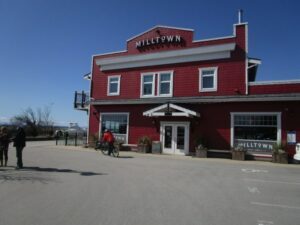 This former railway is now a safe urban space for people to enjoy. 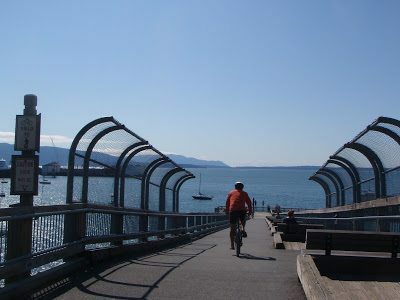 The trail starts near Granville Island and runs 8.5km on a paved and separated path towards the Fraser River ― Oh Wow! 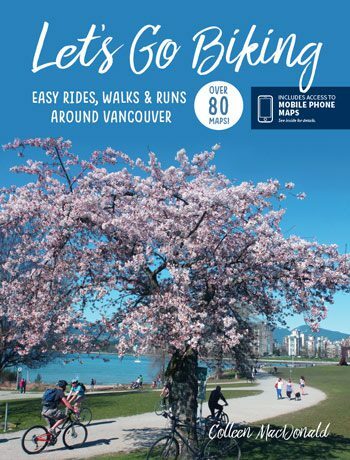 For those wanting to go further connect to Canada Line Bridge to Richmond. 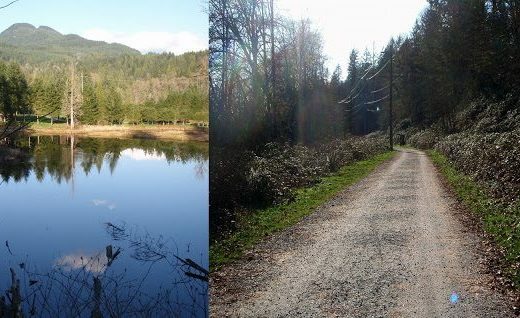 The Arbutus Greenway is one of the most popular places in Vancouver! 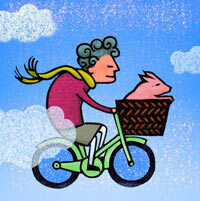 Stephen Rees captures happy riders and walkers in this vibrant photo taken near 6th & Fir Park. 6th & Fir Park art is a tribute to the old railway tracks. There are many community gardens along the greenway. This one has a mason bee house. 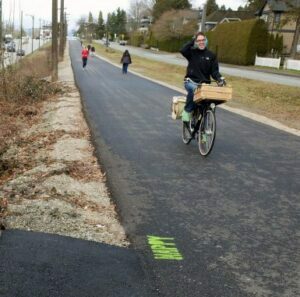 Arbutus Greenway temporary path takes shape. 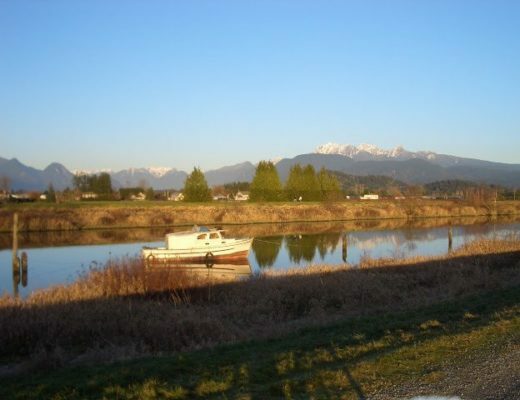 Thanks to the Vancouver Courier for this photo of early days on the path.